Usually, visiting a theme park requires all the tolerance you can muster to deal with throngs of kids, creepy costumed characters, and insane ride queues. But for a new theme park in France that's completely dedicated to wine, it seems like the only tolerance you'll need is a decent tolerance for, well, alcohol. You read that right: the world is finally getting the adult-oriented wine theme park it deserves, as explained in a report by Condé Nast Traveler. 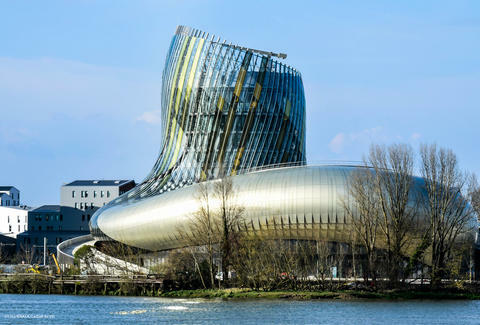 Aptly called La Cité du Vin, which translates to the City of Wine, the boozy attraction is set to open on June 1st right on the banks of the Garonne River in the world-renowned Bordeaux wine country. 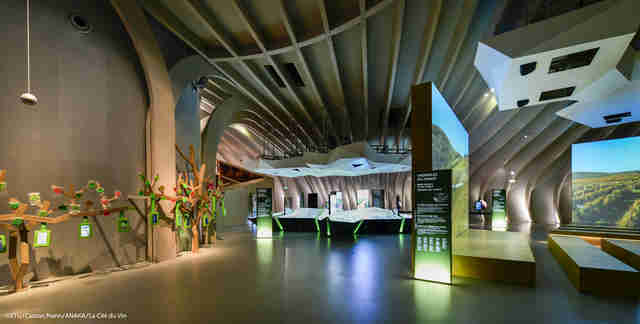 The park features 20 interactive areas and exhibits meant to explain the culture and history of wine, per the report. The place also boasts a 250-seat auditorium for classes and other events, spaces for tasting sessions led by serious wine experts, and even a boat simulator ride that plops you on the deck of a wine merchant traveling the world. Of course, there's plenty of space to sip, slurp, slosh, and whatever else you like to do with fancy wine throughout the beautiful 10-story space. In fact, the top two floors of the building are home to the Belvedere wine saloon, which along with serving food and wine, offers a huge selection of bottles from 80 countries and panoramic views of the nearby wine country. We can already hear all the glasses clinking. 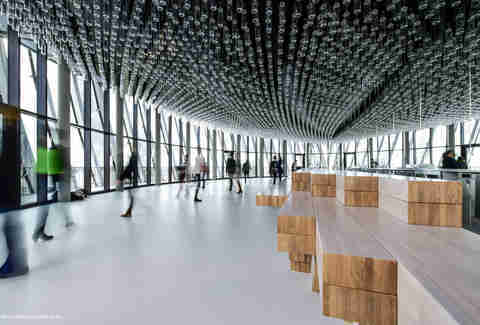 Philippe Massol, the director of La Cité du Vin, told Condé Nast Traveler the goal is to make the park the world's cultural center of wine. Well, cheers to that. Tony Merevick is Cities News Editor at Thrillist and thinks someone should create something like this here in the US. Send news tips to news@thrillist.com and follow him on Twitter @tonymerevick.